Bijon has over 20 years of experience in global financial markets, financial technology, corporate innovation and new business development. 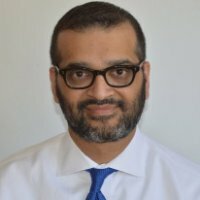 He has worked in a diverse range of businesses spanning capital markets, emerging markets, corporate banking, middle market banking, private banking, retail e-commerce, cash management, electronic/algorithmic trading, international payments, and credit card acquiring (domestic and cross-border). He started his career in various capital markets sales and structuring roles having worked in Foreign Exchange, Mortgage Backed Securities and CMOs, US Fixed Income, Emerging Markets Fixed Income, and Local Currency Structured Products.